Leadership is difficult. Leadership is simple. Ask any business owner or executive to explain how they lead, and you will eventually learn that these seemingly polar opposites blend and change dynamically in a decision process. Most leaders can confidently make tough decisions; express their will, and then trust in the outcome, with little lingering mental anguish as they move onto the next problem to solve. This is actually the simple part of leadership, which comes from an informed, inherent, or innate and noticeably confident sense of what is the right thing to do in a given situation. We like leaders because they seem to know the answers and are not afraid to express them. The difficult part of leadership is creating the structural engagement and belief that will make the followers actually follow a leader. There’s a relational hierarchy in how a leader makes things happen in the people he leads, from fear and defiance, through appreciation and praise, to the ultimate simplicity of the followers believing they did it on their own. This door swings both ways, as the social contract of leading and following is executed. And while creating fear, or being overly appreciative, seem effective in getting the job done, they are equally corrosive to the goal of engaged harmony. Harmony, by definition, diminishes friction, as friction ultimately destabilizes a system, leading to destruction and rebirth. Good leaders avoid creating undue friction in the workplace like the plague. But how does a leader achieve such harmony and still get the job done? It begins with how the leader is perceived in the deepest and most honest heart of those being led. In this matter, effective leaders who last do not seem to make it about themselves, even though their motivation may be less than altruistic, like making sure their checks clear or that their house payment is made. Yet these selfish attributes are way down the list of perceptions created by great leaders to be received by the led. The opposite is true in how leaders express their will to followers: it’s all about empowering the led to believe that if they follow, they are indeed leading themselves, believing their needs will be met beyond their dreams and fears. This is the great heart of a balanced organization. Even with a deep understanding of how to lead, leaders must still figure out and communicate what it is they are leading toward and why it matters to the organization. If creating human harmony toward a common goal is perhaps understood as wisdom, there is still the need for correct and specific knowledge—the need to analyze the underlying process information. In most organizations today, leaders do this in meeting spaces by listening, via structured feedback programs like focus groups—from formal reviews, or, more millennially, during ad-hoc meetings, huddles, and after-parties, capturing the data in a spreadsheet container or a steely mind. In total, to a leader, all these inputs are simply many data points to ponder in getting the right information and advice to build a proper, cogent path to knowledge, wisdom, final decisions, and implementation. Beyond the human element of engagement, this process defines an organization’s core purpose and mission. Increasingly, leaders are using sophisticated yet cold analytics to determine the path of their organizations, as big data-capture techniques, both internally and externally derived, trickle down to smaller enterprises. Artificial intelligence is on the rise, utilized in daily decision-making and cyber interactions much more than some realize. From back-office data crunching of online advertisers to anticipating and informing personal digital assistants that one needs a new pair of socks, AI is rapidly becoming the de facto engine to help make our decisions, or make our decisions for us. This is not wisdom, true choice, or leadership; it is a tool to be considered in the gut of humans who must make the final choice. When human leaders make choices of change based only on enticing bottom-line performance and cost benefits, they run the risk of making expensive mistakes similar to what saved my daughter Shannon Peacock’s job counting and dispensing casino money. “They turned off the very expensive machine that took my job,” Peacock said. “No one considered how they would get the machine’s results back into the hands of the accountants. They need humans to do the job, at least for now.” No smart leader will discount the benefits of seeking automation or process improvement, but the job is about getting the best total solution, and machines can’t do everything as well as humans…yet. A not-too-future CEO may ask his digital assistant whether he should fire or hire, or choose a new business framework based on accurate, machine-analyzed, rock-solid AI data. 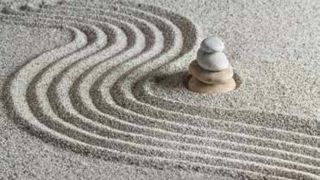 One may be well advised to harmony-check the machines against what humans really know and do, take a deep breath, and then revisit the teachings of a 2,000-year-old sage. —Lao Tzu, 6th century B.C.